Looking for the magic Spelling List 6th grade? Here it is. Dear student, congratulations for your achievements and welcome to middle school. This year you will start studying more challenging and more involving subjects, we are sure you will do great as always. 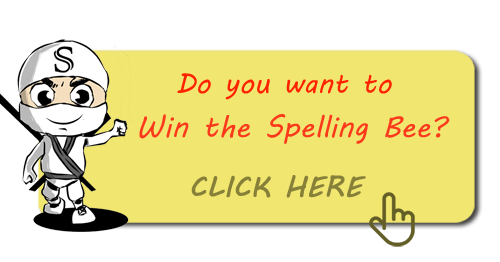 This page is dedicated to you and provides a fresh selection of spelling words for 6th graders, to get new words just reload the page and the table will refresh. If you find difficulties with this level don’t worry !!! It’s normal at the beginning. You just need to train a little bit using words list from previous years, so please feel free to get our spelling bee trainer and set it up for spelling test from previous grades, starting with grade 3 then grade 4 then grade 5. Switch to the next level only when you feel to do it, don’t rush, be constant and everything will come naturally. 1) Open your mind and improve your critical thinking capabilities. 2) Learn new words and improve your spelling skills. So keep on reading everything you can (books but also magazines, comics, instruction manuals), if possible read more using paper because it is much less relaxing for your eyes than a computer monitor, also when reading on paper you are much more focused on what you are reading (no hyper links there to distract you), improving your concentration skills. Talk with your parents and teacher about the subjects you like the most: detective stories, adventures, funny stories and so on and together with them identify new books to borrow from the school library or, if you really like one, buy it at the bookstore. While reading your favorite things, always keep a bloc notes with you and a pen or pencil…as you find a word you don’t know the meaning, or that it sounds strange to you to pronounce or spell….fire up your pen and write it down. At the end of the day, talk with your parents and ask them the word’s meaning, you can also use software aid like the dictionary from Spelling Bee Ninja, but remember that if you ask an explanation to a person, it is way more likely you are going to remember that word, this is because in your brain you associate the words with something that really happened to you (your dad explaining the meaning), also a good way to remember is to make examples of sentences using facts and things that have a real life connection with your life, like for instance a field trip you did or something related to your family or your cat and so on. That way it will be way easier to memorize a lot of concepts without using your CPU power too much, and it’s fun too. Find more about the importance of reading in this article. Print the words (or even better write them down the old good way… yeah using a pen) and use the lists to organize spelling bee contests with your classmates and train for the official events. Even if you manage to master the spelling list 6th grade here, consider trying our Spelling Bee Ninja App if you didn’t do it yet, we made it to help students like you and you get real benefits when using it constantly. Memorize asking to your parents/teachers/friends and using real life example. 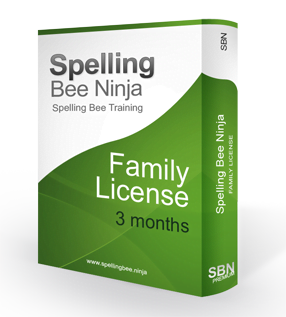 Practice spelling using our free software. Be constant and no rush. That’s it….you will have a lot of fun, trust me.